Tow Truck Insurance Quote, , Springfield, Albany, OR. Great Rates! 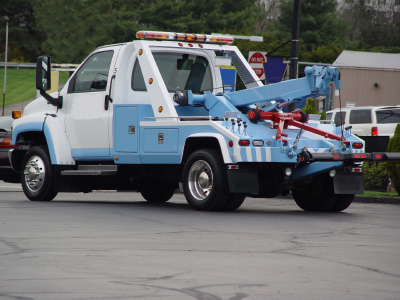 Failure to carry liability insurance on your tow truck could cost you hundreds or thousands of dollars. For example,if you are involved in an auto accident and a car you are towing skids into a school van, you would be responsible for paying medical expenses and property damages related to the accident out of your own pocket. Comprehensive insurance protects you if your tow truck is damaged due to a non-auto accident related event (e.g. fire, snowstorm). Comprehensive insurance, as well as fire and theft insurance, would protect you if your tow truck was stolen or damaged due to a fire. If you operate your tow truck in inclement weather, make sure that you get enough insurance on your vehicle. If you do not, you will be responsible for property and bodily injury damages that exceed the amount of insurance listed in your insurance policy. Uninsured and underinsured tow truck insurance coverage protects you in the event that you or your tow truck suffer damages caused by a driver who did not have any or enough auto insurance to cover the damages that were made to you or to your tow truck. When you consider the numbers of people who do not have any or enough auto insurance, getting this coverage makes good sense. Bodily injury and property damage insurance are standard forms of liability insurance that all motor vehicle owners are required to carry by state laws. Failure to keep the minimum levels could cause you to receive fines or penalties. You could also have your commercial driver’s license suspended or revoked. Let All Occasion Insurance Agency 541-726-0555 help you choose a policy that will fit your individual needs. Protecting your assets, whether personal, business, or both, is our goal. A well-chosen policy can lessen the impact of some of life’s most common, yet unforeseen perils. We’re here to help when you are considering Tow Truck Insurance.